I have a hard time partitioning off parts of my training based on what package you have purchased. That means that when you hire me as your doula or childbirth educator, you benefit from whatever trainings are relevant at the time, so acupressure, photography, optimal fetal positioning, birth art, pain coping techniques, childbirth education, and postpartum skills and knowledge come with hiring me. If you hired me for postpartum, yet you're pregnant and find out your baby is breech, call me and I am happy to suggest positions over the phone or come over and use one of your postpartum hours for acupressure. 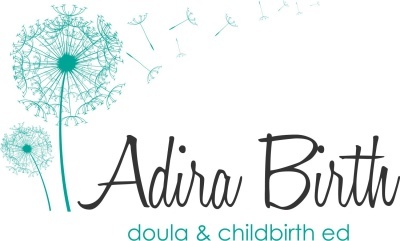 If you hire me for birth, but you have breastfeeding difficulties a month postpartum, call me and I will work within my scope of practice as a postpartum doula to help support you and offer referrals as needed. If you hire me as a childbirth educator, but you'd like some newborn photos at the postpartum visit, let's do it! You hire me and whatever expertise is relevant at the time for your birth and postpartum journey. This package includes 12 hours of postpartum support, divided into three or four hour shifts AND childbirth education. You can choose from a group class or a three hour private class in your own home. Birthing From Within private classes are $40/hour in your home or group 6 week series & intensives. A Birthing From Within class is a holistic supplement or alternative to other forms of CBE. We cover the same practical information, and also practice pain coping techniques and birth art processes. $25/hour. Typical packages would be 4, 10, or 20 hours. I require a minimum of 4 hours, but this can be broken up into two visits. At this time, I am not offering overnight support but am glad to refer you to another postpartum doula for that service. *Special: My first 3 clients booked for postpartum support will receive a wonderful rate of $18/hour!! common packages are 12, 24 or 36 hours ($300, $600, $900) 3 or 4 hour shifts Availability is afternoons, evenings and weekends, and once/week overnight services. One hour visit. Includes an up-to-date resource file for support groups and postpartum resources. We can talk about your birth experience, help with normal breastfeeding (referral to IBCLC if appropriate), or talk about your postpartum needs and moods. I'm happy to help with light housework if time! *The postpartum check-in is included in a class! Recommended for families with older children!